Print distributors are experiencing a particularly difficult time for driving business. With so many organizations looking toward the Internet of Things to meet their needs, the paper industry has seen a number of market fluctuations. However, it is not that companies don't need the documents and forms being sold. Many still do. And, as we've discussed before, it would be a mistake for marketers to jump on the technology bandwagon too quickly and abandon the products that they falsely assume are irrelevant now. Last year, a benchmark study conducted by PSDA found that just a fraction of print distributors expected traditional print forms and business products to become increasingly important among buyers. And that influenced the majority to restructure their approach to selling in a way that centered more on digital processes and technologies. According to a market research report published by IBIS World, over the next five years, "profit margins are expected to slightly increase, mainly due to a drop in labor expenses as a result of industry consolidation." At first, this may seem problematic for some in the printing industry, but not if the right strategy is implemented. Selling transactional forms isn't just a good idea for print distributors because it provides them with opportunities that others in the market are failing to take advantage of. These products are also ideal because they have high repeatability qualities that help drive profitability. Success in the printing industry relies heavily on increasing the efficiency of production processes; by growing the types of orders that don't require a lot of customization, time or resources, distributors are essentially able to spend less, while selling more. 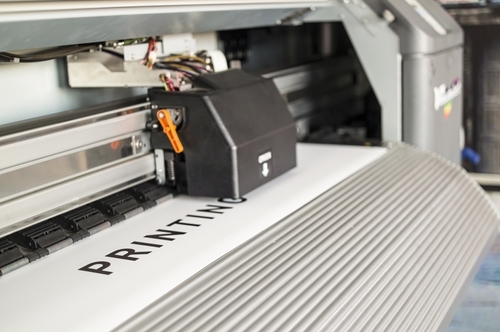 Focusing on repeatable products can provide print service companies with high profits. This is especially so when taking into consideration the fact that fulfillment of these orders is simple and, without having to dedicate an excessive amount of time to making sure they are properly executed, print distributors are able to spend more time improving other essential aspects of business and operations. And, considering the state of transition the paper market seems to be in, there is certainly no shortage of challenges demanding the attention of print professionals today. Now that we have established the importance of promoting business and paper products that have high repeatability, print marketers may be wondering exactly which materials should be pushed. The value that these types of orders can provide to print distributors becomes even clearer when one considers the expansive array of applications they are suited to. For example, they can be used for checks, financial statements, wraparound books, handbooks, purchase orders, invoices and more. These materials are needed by companies across various industries, every single day. And working with a printing solutions firm that can offer customers an online portal for automatically repeating and fulfilling orders themselves further increases the profitability of these products and forms. To minimize costs, drive revenue and increase success, print distributors must utilize solutions that allow them to make more money on items, without having to slow production workflow. Promoting products that are highly repeatable can give them just that.